The discussion and debate about winners and losers created by the iPad is amusing - the Street has already identified the suppliers and is focusing on Amazon as a potential loser. Sorry, wrong victim. 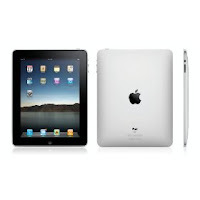 In fact, Amazon is a big winner in the announcement of the iPad. Amazon (AMZN) wants to be the intermediary between a customer - a reader - and the writer/publisher of a book or other material. They started by enabling writers to self-publish, on demand and even bought a company to help them with the process. Then the Kindle. Then Kindle for the iPhone. And after that, Kindle for Windows. Last piece of first generation Kindle is software for the Mac. The money to be made is the 65%-70% Amazon keeps from the sale of a Kindle book, magazine or blog. Not in designing, manufacturing and selling a piece of hardware. Those are the kind of margins that will increase Amazon's overall gross margin; more and more sales of Kindle hardware will reduce gross margin. Amazon's move was brilliant - jumpstart the market, force others to compete. And now the most recognized consumer technology brand in the world - a company that does not waste space by putting its name on signs above its stores -- Apple (AAPL) - is piling in and on. Which is great news for Amazon. Why? Apple is not in the publishing business - other than some exclusives for iTunes - it is in the hardware business, using iTunes to generate customers for the iPod, the iPhone and the Mac. So Apple really wants Amazon to be a successful publisher while Amazon really wants the iPad to be successful, that will sell a lot of books. So, loser Amazon is winner Amazon. The second loser that is actually a winner is a whole segment - textbook publishers - one of the purest publicly held plays being McGraw Hill (MHP). Kindles are not textbook friendly - no color, no serious graphics. iPads are and will be. Won't this displace traditional? Yes - but not traditional textbook publishers. The biggest cost in textbook publishing is the cost of printing the books. That can go away. The biggest problems in publishing textbooks is the need to update them, especially in science, to keep abreast of change. This is a major hassle - and expensive. But not for an electronic text. Best thing about e-publishing textbooks? No used textbook market - if you update a book every year, and a book is trapped on a dedicated device, there is no used textbook market. Go Steve Jobs go --- that is what the folks in the textbook industry should be yelling, right now. Another sets of losers are actually winners - the textbook guys. Anybody else? Any loser really a loser? Yes - Barnes & Noble (BKS), Books a Million (BAMM) and Borders BGP)- they are not financially or culturally built to compete against digital titans Amazon and Apple with their own readers. And Apple's entrance into the market will accelerate the shift away from hard copy books, and traditional book retailers has the most to lose. I expect Borders and Books a Million will disappear and Barnes and Noble will be the last large book retailer standing. The Nook will do little to help B&N - ChangeWave surveys show there is extreme interest in the iPad and a multi-use device that is also a very good book reader will crowd out most if not all alternatives. Bottom line: the iPad is not bad for publishers, it is good for them. The iPad and electronic distribution of books - especially expensive to produce textbooks - because it is a cost dis-intermediator. The iPad is not bad for Amazon, rapid sales of hardware will increase demand for Kindle books sold via the existing iPhone app that will work on the iPad - I hope so, I am publishing two novels as Kindle and print on demand books in the coming months - and for Amazon, publishing and distributing is where the margin is, not in selling hardware. Yes, the iTunes store will put a dent in Amazon sales but Amazon can match Apple keystroke for keystroke as a simple interface to buy intellectual property and there is more than enough room for both.